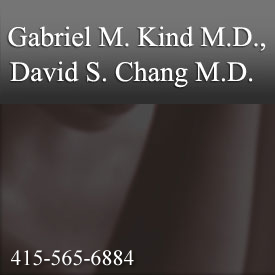 San Francisco Plastic Surgeon - David S. Chang M.D. Dr. David S. Chang graduated with honors from Dartmouth College and received his medical degree from the New York University School of Medicine. Dr. Chang completed his training in general surgery at UCSF. During his training he completed a research fellowship in vascular biology. Dr. Chang continued his specialty training in plastic surgery at UCSF and is board certified by the American Board of Plastic Surgery. 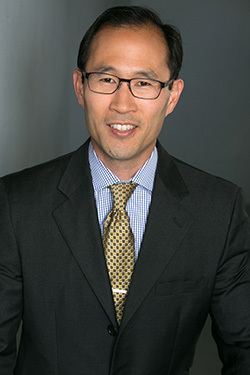 Upon completion of his residency, Dr. Chang was recruited to work on the full time faculty at UCSF as Assistant Professor of Clinical Surgery in the Division of Plastic & Reconstructive Surgery. He was active in teaching medical students and residents the art of plastic surgery. He has authored textbook chapters and articles on plastic surgery. Dr. Chang specializes in plastic surgery, but he has a special interest in breast reconstruction, including the DIEP flap after mastectomy. Dr. Chang is a member of the American Society of Plastic Surgeons. Chang DS, McGrath MH. Topical Scar Modification; Hype or Help? Aesthetic Surgery Journal. 2005 May/June 25(3):304-06. Rosenfield LK, Chang DS. Flash fires during facial surgery: recommendations for the safe delivery of oxygen. Plast Reconstr Surg. 2007 May 119(6):1982. Chang DS, McGrath MH. Management of Benign Tumors of the Adolescent Breast. Plast Recontr Surg. 2007 July 120(1):13e-19e. Gruber RP, Kryger G, Chang DS. The intercartilaginous graft for actual and potential alar retraction. Plast Reconstr Surg. 2008 May;121(5):288e-296e. Rosenfield LK, Chang DS. The Error of Omission: A simple checklist approach to improve operating room safety. Plast Reconstr Surg. 2009 Jan;123(1):399-402. Chang DS. Basics of Microsurgery. In Janis JE (Ed). Essentials of Plastic Surgery. Quality Medical Publishing, St Louis, 2007. Chang DS. Hand Anatomy. In Janis JE (Ed). Essentials of Plastic Surgery. Quality Medical Publishing, St Louis, 2007. Chang DS. Amputations. In Janis JE (Ed). Essentials of Plastic Surgery. Quality Medical Publishing, St Louis, 2007. Toth BA, Chang DS. Embracing the High SMAS for facial rejuvenation. In Eisenmann-Klein M, Neuhann-Lorenz C (Ed). Innovations in Plastic and Aesthetic Surgery. Springer-Verlag, Berlin, 2008.